Emotional Support Animal for Anxiety? It is understandable that recent technological innovations and terms such as the “iPhone” was a foreign term, but as times change, so does technology, terminology, and life. In our field and throughout what we do, we like to use the term “telepsychology” every now and then to describe our services and methods, so because of the confusion that many may have, we decided to fully discuss what this term means. An increasingly popular alternative to in-person psychology treatment is telepsychology, defined as “any therapy delivered by telecommunication tools or devices” by the American Psychological Association (APA). 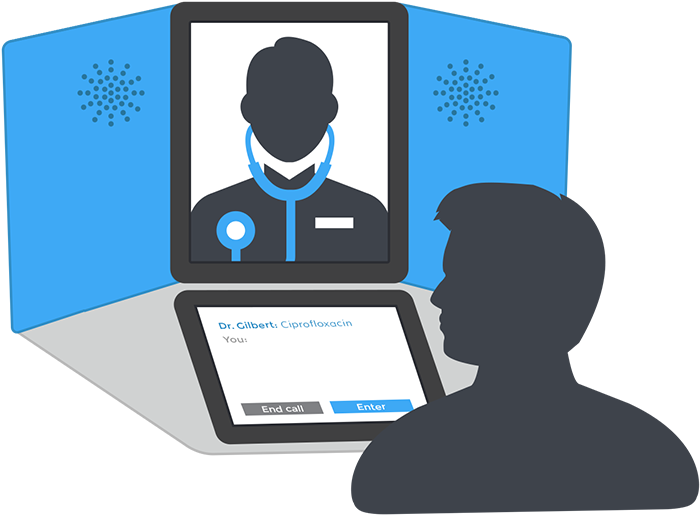 Telehealth patients used in-home video conferencing technology to receive care. Phones or computers can be operated with unique software that the medical professional chooses to use which will allow patients to view their therapist. Thereafter, the medical professional and patient arrange a time/date to perform the telepsychology meeting. Sessions are typically 60 minutes long and occur weekly for 8 weeks as follow-ups. There are potential risks associated with the art of telepsychology and it may be more complicated than in-person psychology because of potential exposure of sensitive information. According to the American Psychological Association, a spokesperson said, “But when you move into cell phones, land lines, video conferencing and Internet, these media all allow for eavesdroppers”. An of the essential component to take note of is the kind of software you and your client will use to communicate. The American Telemedicine Association website has a section featuring various companies that create the programs, which would be a great place to start in terms of researching secure videoconferencing options. Whether you’re going to solely discuss matters via e-mail., cell phones, Oovoo, Facetime, or even Skype, you must ensure that you have the patient’s consent and that their information’s confidentiality is not exposed. As a matter of fact, in matters that require extreme privacy and consideration to one’s confidentiality, one may consider investing in software that is HIPAA compliant. One may want to consider eVisit and using their software to securely and privately converse with patients. Though it is understandable some may argue that telepsychology practices are not as effective as in-person practices, yet there’s enough evidence to suggest otherwise. One notable study conducted by APA Psych Net shows that there are no significant differences between telepsychology and in-person practices. Essentially, the demand for new technologically-driven services is certainly here already. With an estimated 87% of the world’s population having access to cell phones subscriptions and even people living in rural areas being able to use online video and broadband services, traditional mental health professionals are falling behind the curve and almost being matched with online/technologically-aided means. Bottom-line, times are changing and it’s now changing the field of health forever.Nonprofessionals are taking advantage of this by providing their own online services which are often unregulated and, at times, harmful. However, this change doesn’t come entirely peacefully as non-professionals are taking advantage of these new breakthroughs and changes by providing their own online services which are often unregulated and, at times, harmful. Therefore, it is essential for people to know the laws and standards that govern the art of psychotherapy and telehealth so that they can avoid falling victim to the increasing number of phony services out there. Computers have been aiding medical professionals in their work with patients by reducing costs, speeding up procedures, being convenient, and being very time effective. It helps patients immerse themselves in virtual environments to cope and treat their symptoms and may even expel their fears. According to Psychiatric Times, handheld devices help patients monitor themselves and manage their symptoms. There are also unique Tele-Psychology guidelines for all 50 States within the United States as well as Telepsychology Standards for how one can effectively and adequately perform telepsychology practices to a patient. APA also has a well-written guide for students on some basic criteria they need to know about telepsychology. 1. According to the APA, telepsychology has many benefits, including convenience and accessibility. Patients may find telepsychology particularly intriguing, as many clinics are starting to rely on email, text messaging, or instant messaging, all of which eliminate the need for verbal communication and transportation to an off-site location. 2. The APA is still determining whether or not web-based psychotherapy is as effective as, for example, in-person psychotherapy. Studies show that they’re about equal in terms of effectiveness compared to each other. This may be because some patients may benefit more with telepsychology while others may still benefit more with the traditional way. 3. 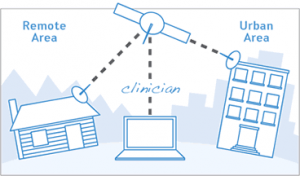 Many therapists are integrating smart technology into the services they offer. However, not all self-proclaimed “therapists” are licensed, it’s easy to fake a degree or claim a license online. When researching potential clinics, be sure to seek proof of the professional’s credibility. 4. If you’re a medical student and you’re considering an app or site to communicate with as a web-based therapist, the APA recommends the platform be, at the very least, HIPAA-compliant. One perfect example of this would be eVisit, which creates software specifically for this area of practice. In essence, this ensures that your personal information, or whatever you choose to share as part of a therapy session, remains confidential — unless you or someone else is in danger. Disclaimer: This content is not intended to be a substitute for professional medical advice, diagnosis, or treatment. Always seek the advice of your physician or another qualified health provider with any questions you may have regarding a medical condition. Never disregard professional medical advice or delay in seeking it because of something you have read on this website.